80% Load Burning Coal with soot built up. First we define efficiency. There are many ways to present it, for example, efficiency is the ability to do something without wasting energy, effort or time. Put it mathematically, it is the ratio of useful output to thermal energy input. Layperson often uses the terms efficiency and effectiveness interchangeably however efficiency is to do with minimizing waste and effectiveness to do with maximizing output (more on this in Heat Exchangers Lab). Boiler efficiency is sometimes defined as combustion efficiency which is computed by the ratio of the burner’s capability to burn fuel completely to the unburnt fuel and excess air in the exhaust. Thermal efficiency on the other hand, indicates the heat exchanger’s (i.e. boiler’s) capacity to transfer heat from the combustion process to the water or steam in the boiler. In general, the maximum boiler efficiency attainable from a boiler depends on such factors as method of burning the fuel, design of the furnace and heat transfer surfaces. In addition, the type of fuel, boiler load and operational practices influence the boiler efficiency. 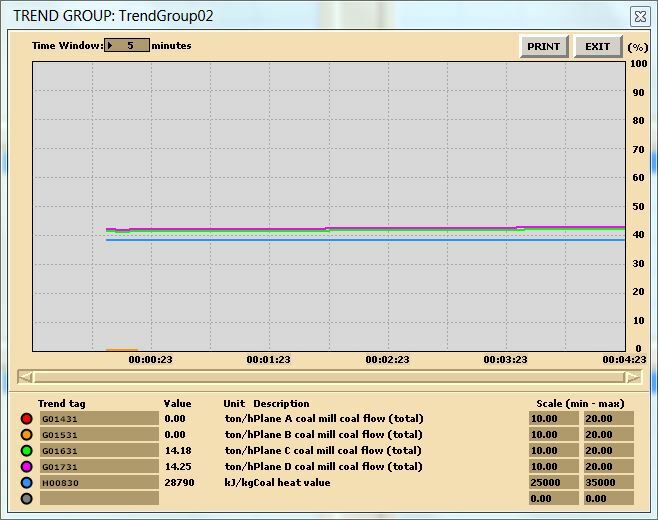 In this lab, we focus on the fuel type, boiler load and best practices. h1=specific enthalpy of feed water, [kJ/kg]. I14 80% Load Burning Coal and use MD250 to set up soot variables. 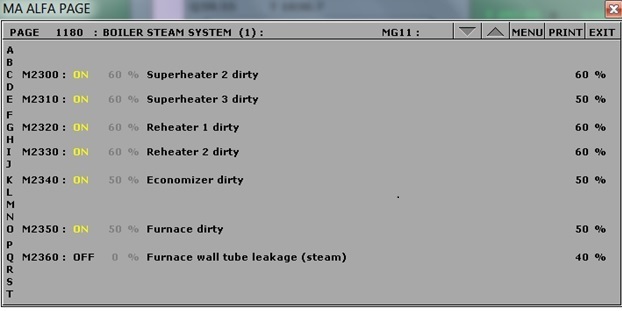 For each condition collect the relevant data to compute the Boiler Thermal Efficiency. Fundamentals of Classical Thermodynamics SI Version by G. J. Van Wylen and R. E. Sonntag: Evaluation of Actual Combustion Processes. Thermal Engineering by H.L. Solberg, O.C. Cromer and A.R. Spalding: Capacity and Efficiency of Steam Generating Units. Basic Engineering Thermodynamics in SI Units by R. Joel: Boiler calculations. Boiler Efficiency by Serhat Beyenir & Sanja Boskovic is licensed under a Creative Commons Attribution 4.0 International License, except where otherwise noted.